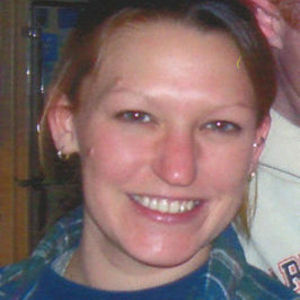 Sherry Lee Burtchell, of Windsor passed away suddenly on Thursday (April 27, 2006) at the very young age of 28. She leaves her very special soul mate Eric Gagnon and their two month old daughter, Shailey Brianna Gagnon both of Windsor. Born on February 28, 1978 in Manchester, she was the daughter of Pamela (Gleason) Burtchell of Windsor and Arthur Burtchell of Florida. She also leaves a grandmother, Ethel Gleason of Windsor; two brothers, Artie Burtchell of South Windsor, and Russell Burtchell of Glastonbury; four sisters, Linda Bell of Windsor, Bonnie Provost of New Britain, Barbara Donovan of Glastonbury, and Joann DelMastro of Glastonbury; her very special nieces and nephews, Katherine and Eddie Hare of Windsor, Amanda Francis of Vernon, Mateo Rodriguez of New Britain, and Tina Reynolds of Texas. She was predeceased by her sister Sandra Burtchell. Sherry was very much loved by her many friends, aunts, uncles, and cousins. She was a devoted daughter, granddaughter, sister, and mother, always there for any family member or friend who needed her. We all know if there is a heaven, Sherry truly has her wings! A funeral service will be held on Tuesday 10 a.m., in the chapel of the Carmon Windsor Funeral Home, 807 Bloomfield Ave, Windsor. Burial will follow in Mount Saint Benedict Cemetery, Bloomfield. Her family will receive friends on Monday from 4-8 p.m. at the funeral home. In lieu of flowers memorial donations may be made to the Shailey Gagnon Education Fund, c/o Sovereign Bank 578 Windsor Ave, Windsor, CT 06095.